If you’re suffering from missing teeth or ill-fitting dentures that rock and slip, you are probably aware of the negative impact it can have on your life. Not only is your smile compromised, but so is your ability to eat comfortably and enjoy your favorite foods, and to speak and smile with confidence. What you may not be aware of are the consequences that can arise when missing teeth are left missing for too long. Learn more below about the effects of missing teeth, and our best recommendation for replacing them with dental implants. When missing teeth are allowed to remain missing, there are many consequences ranging from aesthetics, to functionality, to oral health and beyond. 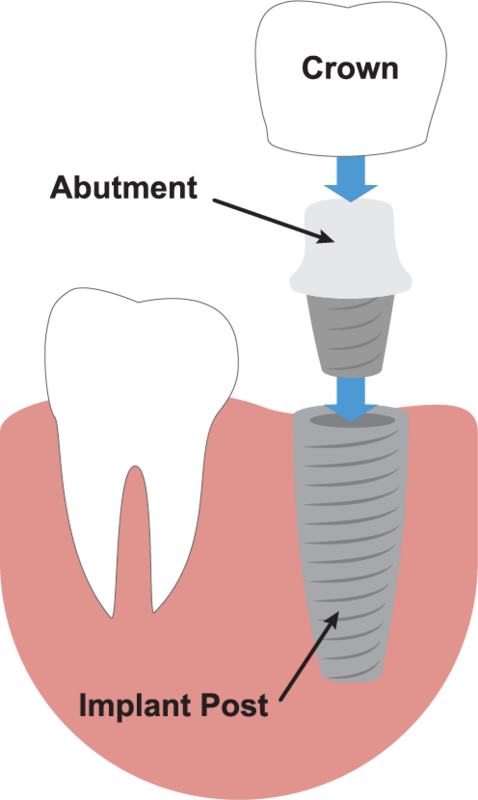 Dental implants are small titanium posts or screws that are essentially tooth root replacements. Dental implants are surgically inserted into the gums and into the jawbone using computer-guided precision technology. Implants typically require a healing period of several months to actually become fused with the jawbone, effectively becoming a fully integrated component of your new complete smile. Compared to traditional restorations that sit on top of the gums, dental implants actually replace the root of the tooth, which is an essential piece of the complex system that is your oral health. Implants prevent the jawbone deterioration and tissue loss that you usually see in patients with missing teeth or traditional restorations. In fact, implants actually stimulate new bone and tissue growth around the implant giving you the fully formed smile you had before missing teeth. There are many benefits in replacing missing teeth or stabilizing dentures with dental implants. If you’re missing most or all of your natural teeth and are considering dentures for the first time, or are living with ill-fitting dentures that rock and slip, we would love to speak with you about implant supported dentures. Implant denture patients enjoy all of the amazing health benefits of dental implants, while gaining freedom from removable dentures and messy adhesives. No more worrying about your dentures slipping out of place at the most inopportune moment, or taking them out and soaking them overnight. 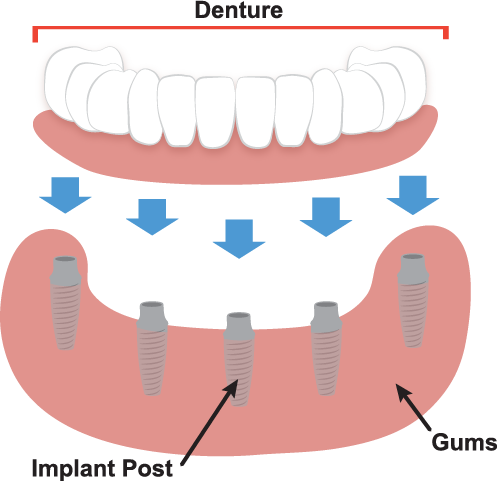 Implant supported dentures are securely locked in place to look, feel and function just like natural teeth! If you have any questions about dental implants, or would like to schedule a visit with your Des Moines implant dentists, Dr. Chad Johnson and Dr. Emily Flesner at Veranda Dentistry, give us a call today at (515) 650-5531 or request an appointment online! Serving dental patients in Pleasant Hill, Des Moines, Bondurant, Runnells, Mitchellville, Colfax, Prairie City, and all of Polk County, IA.